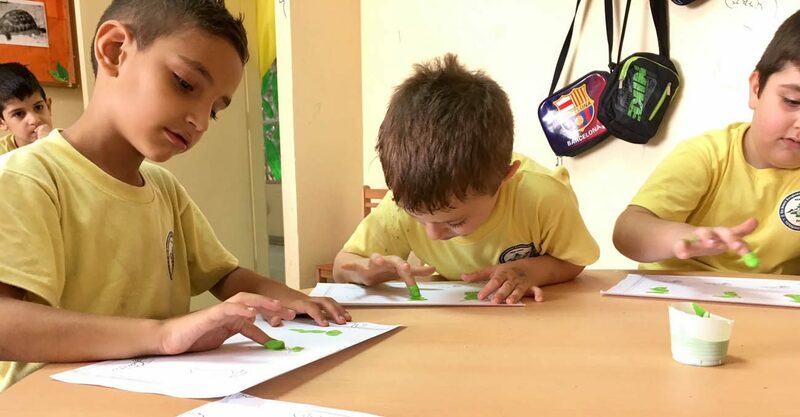 BEIRUT (CNS) — In the sweltering, crowded Bourj Hammoud district of Beirut, a group of children from poor Christian families have discovered a summertime oasis of joy. The 390 children, ages 3 to 13, are participants in the Howard Karagheusian Commemorative Corporation’s day camp, funded in part by the Catholic Near East Welfare Association, a pontifical aid agency. Volunteer Nver Bodozian, who works with 3-year-old children, is a refugee from Aleppo herself. She and her family came to Lebanon six years ago, early in Syria’s civil war. Her great-grandparents — who fled the Armenian genocide — originally settled in Aleppo. Taking a break from shuffling a soccer ball, Kevin, 8, a refugee from Aleppo, said, “my best friends are here,” pointing to Sevag of Lebanon and Garbis, also of Aleppo.